After removing the flesh from the casings of the sausages, roughly chop using a spatula and cook until just brown. Remove from the heat and then add the eggs to the pan, keeping to one side, before adding the veggies over the other (keep the egg yolks runny!). 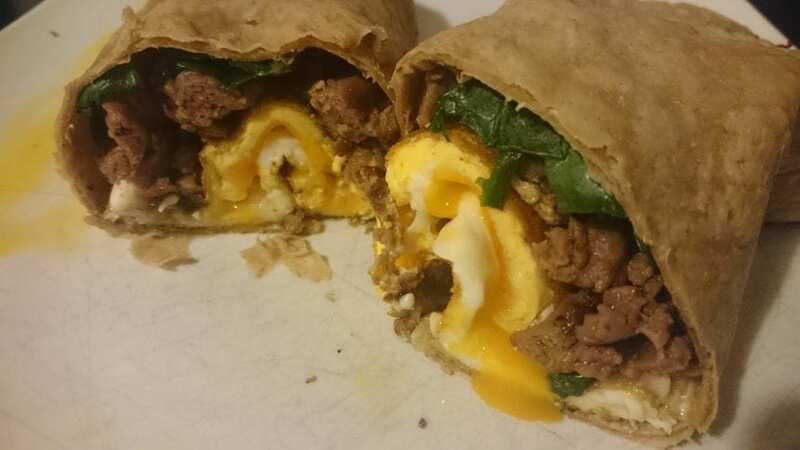 Microwave the wrap for 30 seconds to heat and layer all ingredients onto one side of the wrap before covering with the other side and flipping over.